Singer microfilter vacuum bags efficiently trap over 99% of microscopic particles, including pollen, ragweed, dust mites, pet dander, mold spores, and other allergens as small as 5 microns. An exclusive dust seal keeps dust and dirt safely contained within the dust bag and also alerts the user when the bag needs to be changed. To get the best performance out of your Singer vacuum, change the bag every 1-2 months. 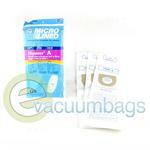 Generic EnviroCare Paper Vacuum Bags for Hoover Upright Model Vacuums Accepting Style A Bags. 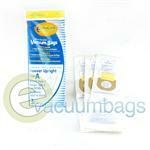 Generic DVC Replacement Paper Vacuum Bags for Singer SSB-1 Upright Model Vacuums. The Bissell disposable Style SUB-1 Paper Vacuum Bags are designed by Bissell to work with many Singer upright vacuums featuring bottom bag mount designs, including the U, S, TF, and SST series upright vacuum cleaners. 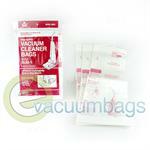 The three Bissell Style 2 1-Ply vacuum bags in this package are designed to work with the Singer Sub-3 vacuum cleaner, but also fit the Bissell Soft Body Upright, Bissell PowerPartner Upright, and Bissell Hard Body PowerGroom Upright vacuums. 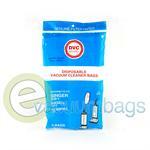 Generic DVC Micro-Lined Paper Vacuum Bags for Singer SUB-3 and HEMS-1 Model Vacuums. 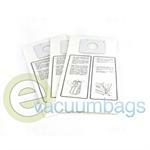 EnviroCare Micro Filtration Paper Vacuum Bags for Singer SUB-3 and HEMS-1 Upright Model Vacuums. 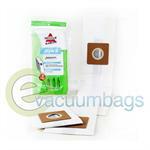 Genuine DVC Filter Paper Bags for Singer Model Vacuums using Sub-3 Bags. 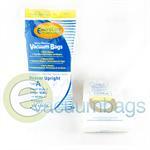 Paper Vacuum Bags by EnviroCare for Singer SUB-3 Model Vacuums.